In 1967, Sri Gurudev Swami Satchidananda was one among the new immigrants whose exotic garb, customs, and cuisines would add color and spice to the diversity, the so-called “melting pot” of American culture. He arrived in New York City on May 24, 1967, and, according to an article in the Village Voice, he “came through customs, beaming and radiant…” His own experiences and insights, along with the wisdom that he accessed through his contact with various spiritual masters in India, enlivened him and illuminated the lives of those who eventually came to learn from him. And come they did. 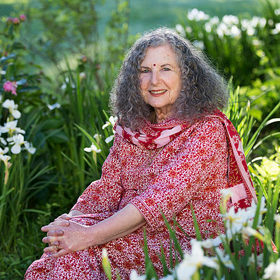 Jews, Muslims, Christians, Hindus, Buddhists, agnostics, the “spiritual but not religious” and others, all of whom were seeking peace and harmony in a world of divisiveness and discord, a world where the unaware often perpetrate violence on those whom they perceive as “other.” They flocked to hear Gurudev speak about a different perception of reality, one grounded in the knowledge and in the experience that all beings are interconnected, that in the realm of the ultimate reality, we are all one. We are all different colors, sizes, and shapes on the outside, but inside the same light shines. We may look different, but if we see the spirit, we realize, I am you; you are me; we are one.